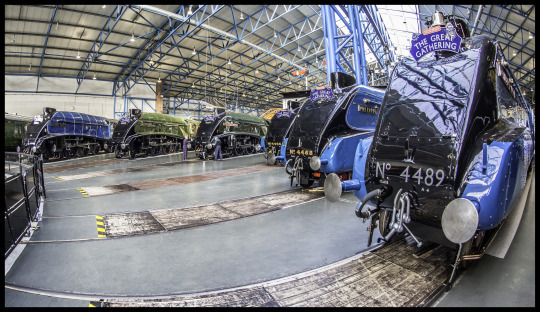 Please help support the fantastic National Railway Museum! Harriet Lamb works for our Development team and talks about the amazing generosity of our visitors. 2013 was a really special year for our museum. To celebrate the anniversary of Mallard’s record breaking achievement we reunited all six remaining A4 locomotives. We welcomed thousands of visitors in July and again in November, with young and old, families and groups of friends, to see the Great Gathering (not forgetting the record-breaking visitor numbers seen this month at Shildon). 3 July 2013 saw the 75th anniversary of Mallard’s world steam speed record. Something that stood out during these events was the support we saw from our visitors. We received many kind words and huge amounts of donations. We were completely overwhelmed by, and feel very grateful for, the generosity shown to us.